Perhaps you have led or have been a part of a Bible study group that has truly bonded and been together quite a while, maybe even years. Have you run into any concerns or issues, even as you have enjoyed studying and growing together? First of all, yes, be concerned! Ask the question, why are they continuing to come to the same group after 20 years? For the study or for the teacher? Also, what have they done with the 20 years of study? 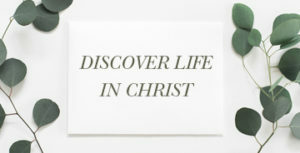 Have you seen life change? 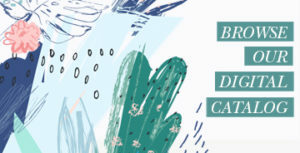 (check out these evaluations Martha Lawley has put together to help answer that: Translating New Understanding Into Changed Lives,and Tools for Tracking Transformation) If there is no life change, you might question the effectiveness of the studies in their personal lives. Next, ask them, what do they fear losing by splitting into smaller groups, especially if they desire intimacy? Perhaps you can open and close with the teacher leading, but split into table groups of 6-8 for discussion time. That way they are getting the best of both issues. My church has done this from time to time. If our women’s minister is teaching all of the women in one group, each week we sit at tables (the same ones each week) with a mix of ages of women for discussion and prayer. If the group has not had any new participants in a long time, you might want to evaluate why. Do others feel this is a “clique” group studying together? Are current participants bringing others to Bible study from time to time? Does the group welcome outsiders? Another question you can ask is, "has the leader been training up other leaders?" That is the responsibility of any woman in a leadership position. Have a co-leader or apprentice lead together. Then let the apprentice begin her own group, possibly with part of the class, or another brand new small group. Multiplication is the key to reaching more women for Bible study and growth. I lead a Sunday morning women’s Bible study with a co-teacher. We each taught every other week and it has not only helped in the teaching load, but has also exposed the class to different types of teaching. Our goal though, is to train up women and send them out to other ministry roles. If one leaves to teach students or children, or serve in another capacity, we are thrilled! Encourage the participants to provide a service or ministry outreach as a response to what God is teaching them through their studies. The women must see that we are held responsible for all the teaching in which we have participated over the years. We aren’t just to “sit and soak” but to “soak and serve.” Perhaps challenge the group to see who can come up with the most creative and effective ministry opportunity to make a difference in your community once the study is over, or even in the middle of the study semester. One leader also asked this question: “How can I keep Bible study fresh for my group? I feel I’ve given my ladies all of my ‘godly insights.’” A co-teacher will help with this issue as well. Or perhaps asking a different lady each week to bring one part of the lesson or testimony relating to the lesson would bring freshness and eliminate boredom. Keep in mind, as a teacher, you don’t have all the answers. God put your small group together to help one another other learn, and challenge each other to grow. Use the wisdom in your group to help you all. Share with us in the comments. How are you keeping your small group fresh, your participants growing in intimacy, as well as challenging them to give back? 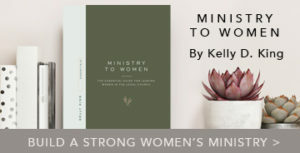 Read more about starting small groups and Bible study groups in Transformed Lives: Taking Women’s Ministries to the Next Level and Women Reaching Women: Beginning and Building a Growing Women’s Ministry.